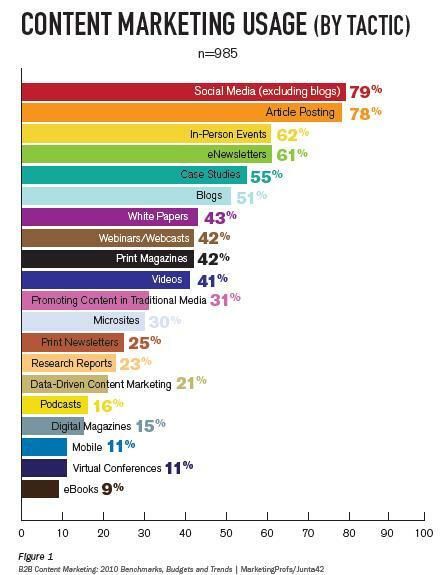 How many tactics B2B marketers use in their content marketing efforts? Which tactics are most popular? 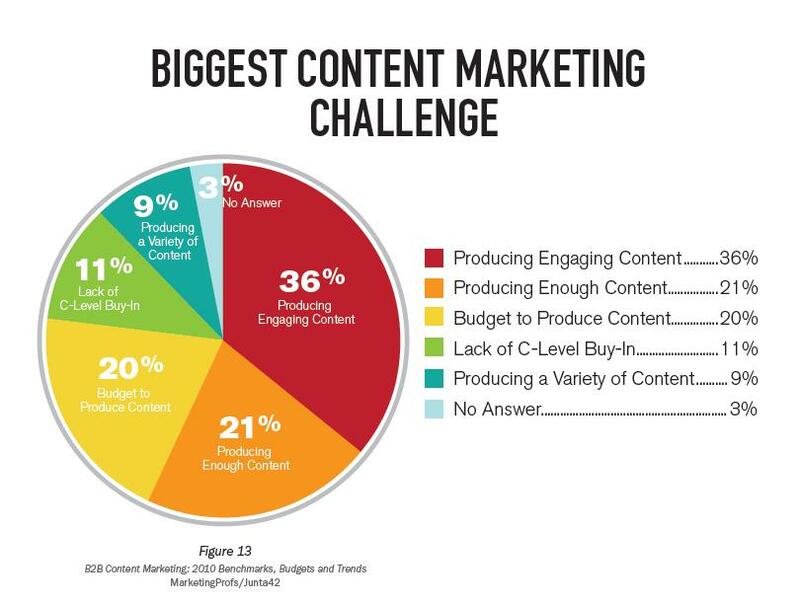 What percentage of the marketing budget do marketers spend on content marketing? Which industry has the highest level of content marketing adoption? What are effective content marketers doing that less effective marketers are not? If so, download this free report now or view the Zmags digital version from Junta42 and MarketingProfs to get answers to these questions and many more. With help from American Business Media and the Business Marketing Association, Junta42 and MarketingProfs surveyed over 1,100 North American B2B marketers from diverse industries and a wide range of company sizes. 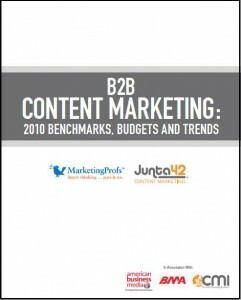 B2B Content Marketing: 2010 Benchmarks, Budgets and Trends represents the largest, most comprehensive survey about content marketing in the business-to-business (B2B) space to date. Nine in 10 organizations market with content, with marketers using eight content tactics on average. The most popular tactics are social media (excluding blogs) (79%), articles (78%), in-person events (62%) and eNewsletters (61%). B2B marketers allocate approximately 26% of their total marketing budgets to content marketing initiatives. 51% of B2B marketers plan to increase their spend in content marketing over the next 12 months. While content marketing is mainstream, marketers are unsure of how effective various tactics are. 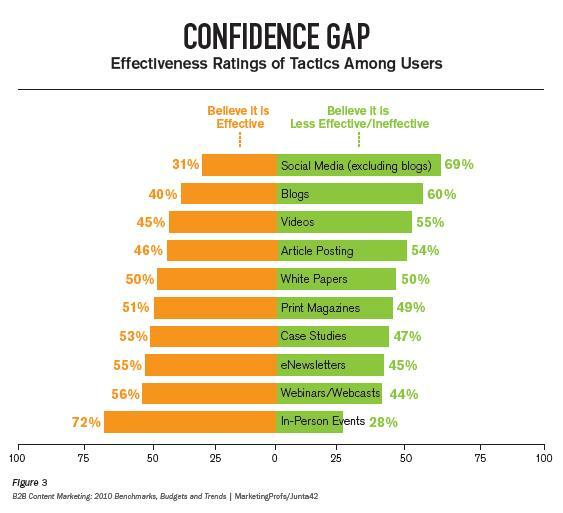 For many tactics, there is a large “confidence gap” in which marketers use tactics but are unsure of how effective they are. For instance, of the 79% of B2B marketers who use social media, only 31% of users think they use this tactic effectively. If you are in B2B marketing, there are many other things you will find out by downloading this report, such as how content marketers measure success, what distinguishes self-described best-in-class marketers and much more. Want to learn more? We’d love to know your thoughts about this study. What surprises you? What questions do you have? Let us know in the comments below.